My name is Baaba Maal, and I’m a Senegalese musician writing with a personal plea for help. 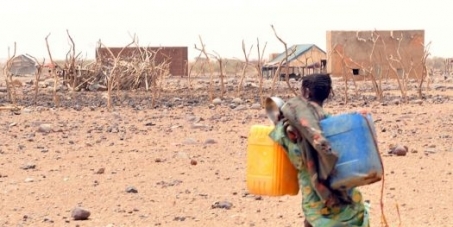 I live in Africa’s drought-struck Sahel region where 18 million people are on the brink of disaster, including 1 million children at risk of starvation. But our urgent appeals for help are being met with deafening silence. Only a targeted and overwhelming demand for action can stop this catastrophe from turning deadly. The UN says millions of lives could be destroyed unless $1.5 billion in aid is channeled in immediately, but governments have pledged less than half the required sum. The countries who can make all the difference are the US, Japan, France and Germany, but they’re stalling -- that's why I started a petition on Avaaz's Community Petitions website to appeal to the world for help. In days, world leaders will gather in Brussels to discuss the Sahel -- if they decide right there and then to pledge their fair share, we can avert disaster. Sign this urgent petition now -- Avaaz, Africans Act 4 Africa, and Oxfam will deliver it in a coordinated stunt when we reach 1 million signatures.